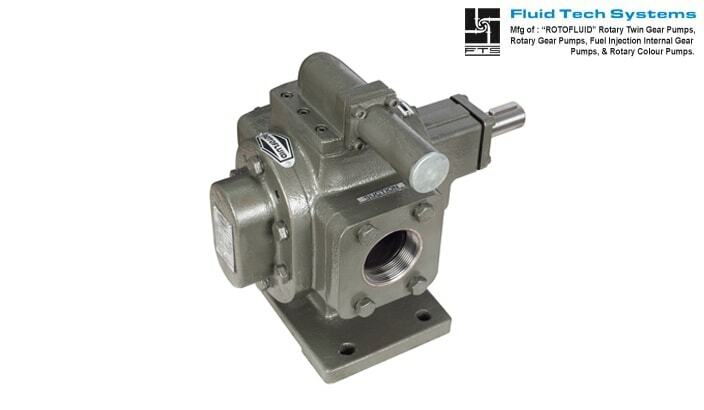 Fluid Tech Systems offer “ROTOFLUID” brand gear pump Model “FTNX/FTBX” (Viscous Liquid Gear Pump - External Gear Pump - Positive Displacement Pump) which is heavy duty flange and foot mounting type positive displacement rotary gear pump. Model “FTNX/FTBX” is modified version of Model “FTRN/FTRB” to achieve high pressure. These pumps having doubled helical finished gears and hardened & ground shafts. Due to double helical gear it prevent axial load and side thrust which help to increase life and performance of pump. Model “FTBX” is a bush bearing type pump which can be used for viscous liquid having sufficient lubricating value for intermittent duty; however for continuous duty pump have needle roller bearing in Model “FTNX” and it will be selected for liquid having low viscosity, power lubricating values. In these pumps size ½" to 2 ½" are provided with thread at end of suction & delivery and they are available with foot or flange mounting, But in size 3" to 4" are provided with flange at the end of suction & delivery and they are available with foot mounting only. These pumps can be operated up to pressure of 20 kg/cm² with 5.0 LPM to 900 LPM flow capacity. 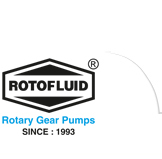 These pumps are suitable for liquid up to viscosity of 1, 00,000 SSU and maximum temperature up to 200°c. High pressure pump offered to 20 Bar. Modification tooth profile enhances the tool life. Heavy duty gear pump double helical design prevent axial load and side thrust.